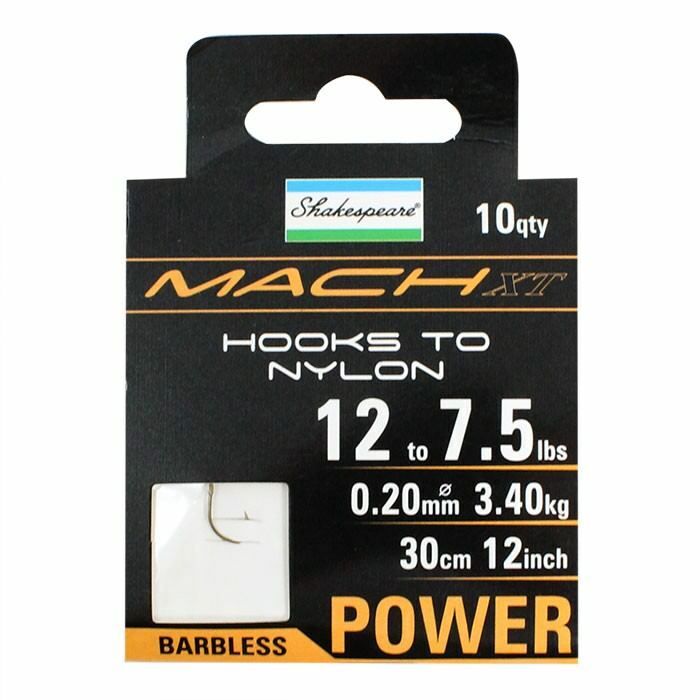 The Shakespeare Mach XT Barbless Hooks To Nylon are a series of hooks designed by Shakespeare to meet the needs of Coarse anglers. 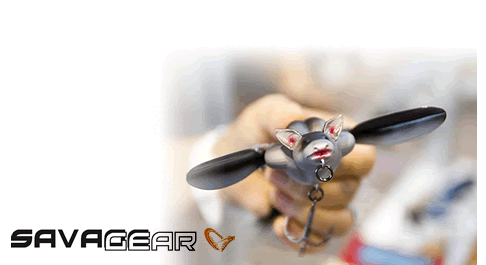 These hooks are super sharp and strong to give you the confidence that they wont let you down. In each pack, there are 10 hooks supplied that are barbless to make it much easier for you to unhook your hook from your catch. These power hooks are excellent for lasting through a hard fight with a fish and they are combined with a low vis, supple nylon to give your bait a natural movement in the water. These hooks have a wide gap which is perfect for maggots, worms, sweetcorn and will hook pellets. These hooks are ideal for anglers who want the convenience of a pre-tied hooklength and a hook they can rely on. 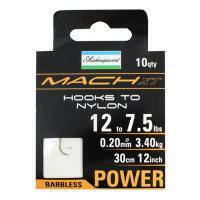 The Shakespeare Mach XT Barbless Hooks To Nylon are available in a range of different sizes and are gold in colour. Low diameter, super strong mono.